New! Enjoy all thirteen songs! 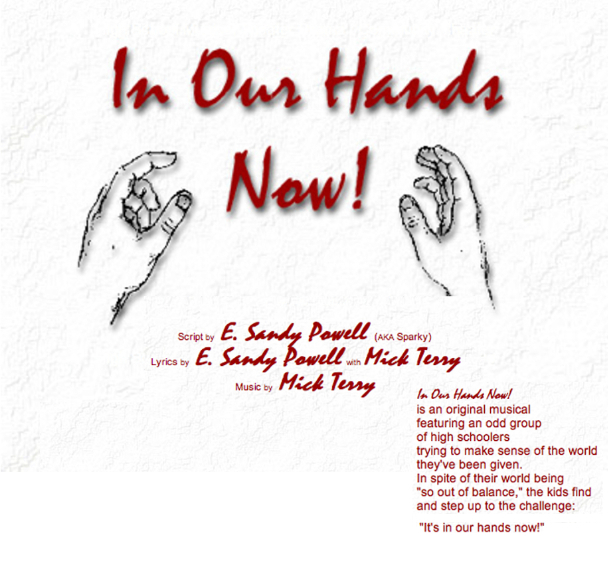 Music and lyrics are fully © by E. Sandy Powell & Mick Terry in addition to and along with the book musical. With thanks to primary vocalists: Gisela Powell Birnschein, Rob MacMullan, and Mick Terry.